New for this year! 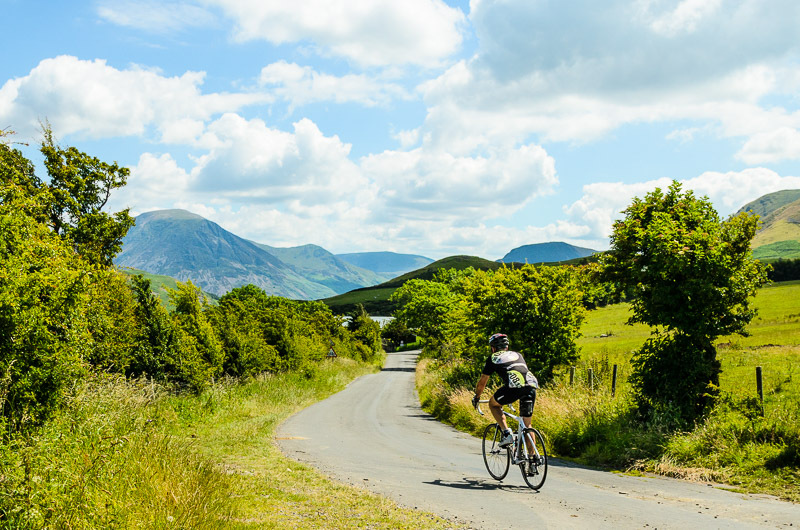 Led by the highly experienced cyclist and ride leader (and company Director) Mark Sandamas, this group ride will cross the country in 4 days of riding, on lovely quiet lanes through the three National Parks. It will be a fun, social group activity, enjoying both the fantastic riding and the great scenery, with tasty café stops. The group will be a maximum size of 8 people. Each day’s riding is a maximum of 92km / 55miles. It is most suited for road bikes. Mark has organised and led rides for over 25 years for various companies, clubs and individual groups both in the UK and abroad. He will naturally be guiding and explaining the areas you are passing through, as well as looking after your welfare, safety and assisting with any mechanicals. You’ll need to have a reasonable level of cycling fitness (such as being able to do back-to-back rides of 40+ miles). Although an ability to change inner tubes and do basic ride mechanicals is useful, it’s not essential. Price is £525.00 per person. This includes an inclusive deal including 4 nights of high-quality accommodation. We will book the best bistros, pubs and restaurants to try every night, but meals prices are to be paid locally. Twin-sharing rooms are booked for your overnight stay, but you can request a private single room for an extra fee per night.